The Buxa Tiger Reserve located in the Buxa hills of the southern hilly area of Bhutan. Animals found in the park include, the tiger, civet and red jungle fowl. Buxa Tiger Reserve (BTR) lies in Alipurduar sub-division of Jalpaiguri district of West Bengal. Its northern boundary runs along the international border with Bhutan. The Sinchula hill range lies all along the northern side of BTR and the Eastern boundary touches that of the Assam State. Santalabari a small beautiful village in the deep of Buxa Tiger Reserve (BTR) core area. This village is one of the most popular area in BTR. This is the best place for nature lover. 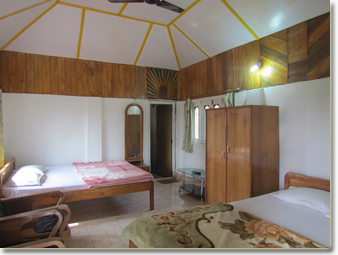 BUXA VALLEY RESORT welcomes you to feel and enjoy the natural surroundings at Santalabari. The location of buxa valley resort is really wonderful. The surroundings of the cottages is really great. I also enjoyed the foods. Best place for close to nature. Copyright © 2019, www.buxavalley.com, All rights reserved.